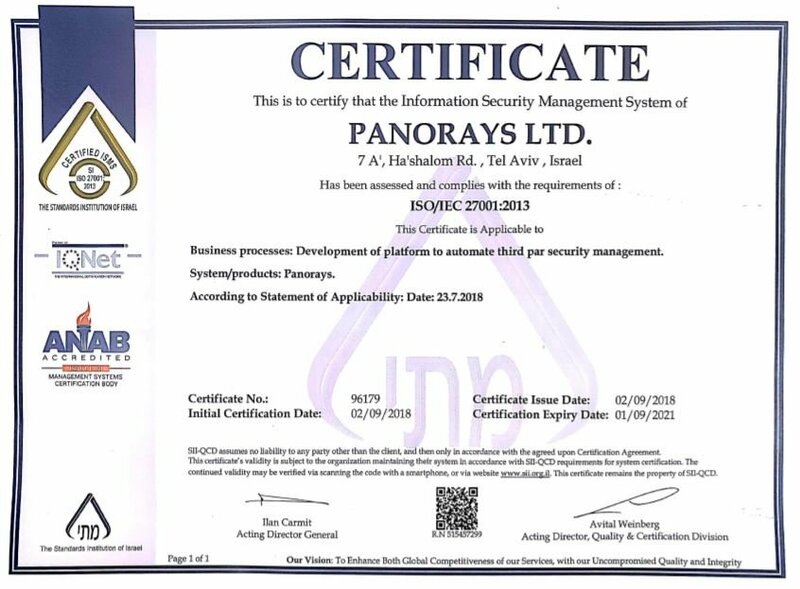 Panorays has received a silver medal for Startup of the Year from the Information Security Products Guide 2019 Global Excellence Awards. Is CCPA the New GDPR? Meet Panorays at secureCISO in San Francisco! This week, Panorays will gather with leading CISOs and IT strategists at secureCISO in San Francisco on January 24. New Year's Resolution: Manage Your Third-Party Security Better!